Like most people, the thought of putting a dollar value on a human life probably is rather abhorrent to you. However the concept is thousands of years old. Both Mosaic Law and the Code of Hammurabi considered the amount of compensation that would be apropos in the case of dismemberment or accidental death. In addition, centuries old Scandinavian and Anglo-Saxon laws considered the question of "weregild", which is a term that means "man-price." This was the amount of money that was to be paid to either the victim or the victim's family for a personal injury case. During the past fifty years there has been a rash of mesothelioma and asbestosis cases in the United States. If you were to review the history of asbestos and asbestos related diseases you would probably come to the conclusion that most of these illnesses were not accidental. They happened because companies that were involved in the mining or manufacture of asbestos and products that contain asbestos put their employees at risk knowing full well that they were risking their workers' lives. Even though you may consider these acts of gross negligence as being criminal in nature the courts in the United States and elsewhere consider that injury and death from asbestos is a tort - a personal injury. Because the law considers them to be personal injuries the civil courts rather than criminal courts rule on asbestos related cases. Civil courts do not sentence people to serve time in an institution. Instead, civil courts award monetary compensation for lost income, medical expenses, and pain and suffering. 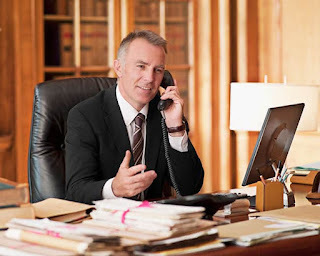 Therefore, as unappealing as it may be, because of the way the law looks at asbestos related diseases it has become important to be able to establish some sort of monetary value on a human life. A settlement for a disease such as malignant mesothelioma is different than an award of damages. The term "settlement" means that both the plaintiff and the defendant have agreed to settle out of court. This could happen either before court proceedings commence, during the course of the trial, or after the judge has ruled on the case. There are quite a few reasons why either the defendant or the plaintiff in an asbestos related illness trial would be willing to settle out of court. However, in most situations the willingness to accept a mesothelioma settlement or the offer of a settlement is based more on power than it is on justice.